 Join us at CMG to compete head to head to win huge cash prizes in our online Fortnite Cross-Console tournaments. We here at Checkmate Gaming are excited to bring you in a new era of competitive gameplay in 2018 with Cross-Console tournaments.  Cross-Console combines the worlds of PS4 and XBOX into one, so you can show off your skill to more players in a diverse network of online gaming. Now on CMG, you too can experience the best of competitive online gaming the likes of which are not found anywhere else online. Jump into the action and prove to your opponents which console is the superior choice to play on while you compete. Play in tournaments for huge cash prizes 24/7 accompanied by live support from the most experienced administrators available. Our Cross-Console tournaments offer a more competitive eSports scene by combining the player bases from the two leading consoles of PS4 and XBOX. Checkmate Gaming offers you the fastest track for you to make a name for yourself and get the cash you deserve in the most competitive environment possible. Our Elite tournaments are even free for our elite members to enter and have massive cash prize pools. With skill and focus, you too can become one of the top Fortnite players and make money playing video games. Since it’s release, Fortnite has been an insanely popular Battle Royale, amassing millions of players worldwide, and even inspiring popular dance trends. Fortnite is still one of the top competitive games on the market today, and has some of the top viewership on popular streaming sites like Twitch.tv, and we are now entering into Season 8. Here at CMG, we want you to have the easiest time possible earning money playing this groundbreaking popular game. Our schedule of tournaments run 24/7 with offerings to all players within North America & Europe. Tournaments can be free to enter, premium membership, or range anywhere from $1 - $15 in credits to play. Earn these cash prizes by simply logging into Checkmate Gaming's competitive tournaments for Cross-Console. Harden and hone your skill right here on Checkmate Gaming and fill up your wallet at the same time. By playing in our online tournaments, you may even play against professionals and popular streamers on your road to becoming one yourself! Make yourself known on the populated and streamlined eSports platform powered by Checkmate Gaming. It is the best opportunity to make money playing video games, right here on CMG. Any issue you might have in your match immediately solved by our team of professionally trained eSports administrators. Our admins have a wide array of experience in many eSports venues and most notably Battle Royales and Fortnite; they are there to ensure you have a fair chance at every tournament. Merely find the tournament you want to play, get your team together via our roster system and step into the fray to get your cash prize! Load up your consoles and drop off the Battle Bus now on CMG to start competing today!